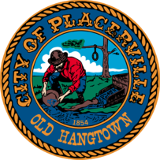 The Placerville Police Department Community Service Officer is primarily responsible for enforcement of the City's parking regulations in regards to vehicles that are left for 72-hours with out moving and/or abandoned on city streets. The Community Service Officer also handles Vehicle Abatement on private property. Vehicles left parked or standing upon a highway for seventy-two or more consecutive hours, the owner shall be liable for costs of removal, storage and fines. Vehicles that have expired registration over 6 months can be towed immediately. Vehicles that have been registered as a (PNO) Planned Non-Operational can not be parked on city streets. Non-operational means that the vehicle will not be driven, towed, stored, or parked on public roads or highways for the entire registration year. The Placerville Police Department administers the state-funded vehicle abatement program. The program is designed to remove abandoned vehicles that pose a hazard or public nuisance. For information or questions regarding vehicle abatement please call (530) 642-5210 or (530) 642-5280. For more information, please read our City Ordinance.